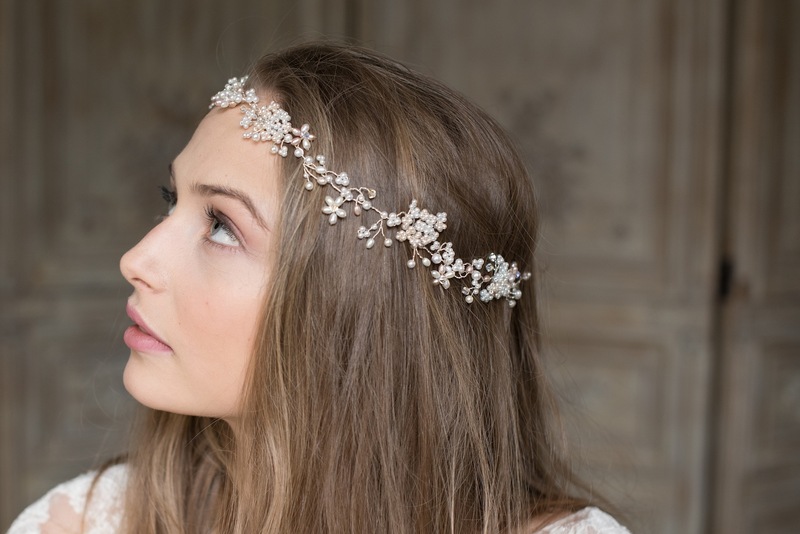 Sweetpea Hair Vine created using tiny silver lined bugle beads, pearls and swarovski crystals creating an intricate lace effect vine which delicately catches the light while replicating the lace detailing in the dress. 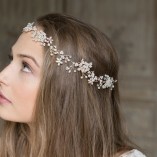 It can be worn as a full garland or sitting asymmetrically pnned in the hair. 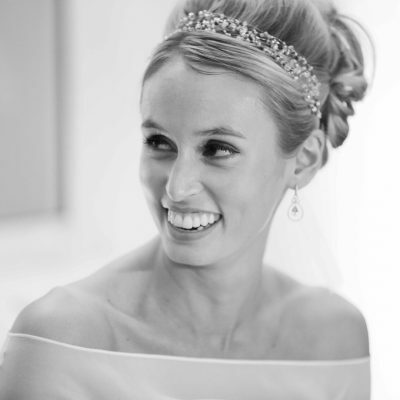 This piece can be recreated into a necklace after the wedding. Inspired by vintage lace and simplicity. SKU: N/A. Categories: The Botanical Collection, The Hairvine. 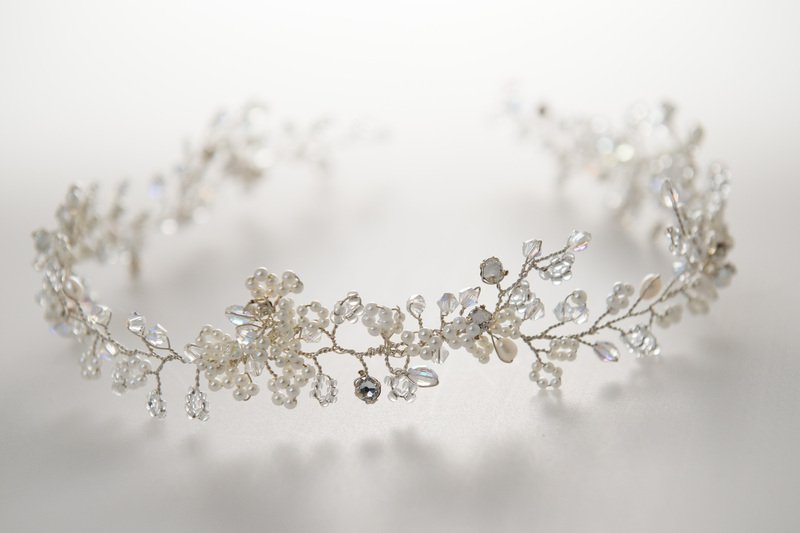 Tags: bespoke accessories, bridal accessories, bridal flower hair vine, couture wedding, designer wedding, destination wedding, unique wedding accessories, wedding accessories.